Bethel University, a top-ranked, evangelical Christian university based in St. Paul, Minn., needed to replace rooftop equipment original to two nearly identical residence halls which were built in 1977 on its large St. Paul campus. Poor comfort control and energy efficiencies from existing equipment. 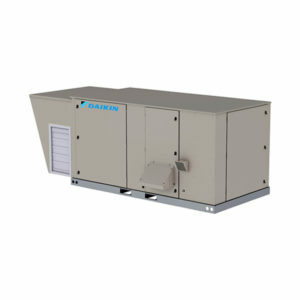 Daikin Rebel® commercial rooftop units (7 ton) and Daikin Intelligent Equipment® platforms with remote operating and diagnostic capabilities providing better ventilation and improved humidity control. Bodien Hall: 26,720 sq. ft.
Edgren Hall: 26,000 sq. ft.
Two Bethel University residence halls faced dehumidification challenges due to showers, open doors, and a variable Minnesota climate. Bethel University, a top-ranked, evangelical Christian university based in St. Paul, Minn., needed to replace rooftop equipment original to two nearly identical residence halls which were built in 1977 on its large St. Paul campus. “One of the driving forces to replacing the old units was trying to get better ventilation, drier air, and make it more comfortable inside the dorm rooms,” said Chuck Broz, HVAC technician supervisor at Bethel University. The resident halls’ existing rooftop systems did not maintain adequate comfort levels. Rebel replacement units delivered improved comfort and energy efficiency solutions. The 4-story Bodien residence hall sits on a hillside and is connected to the 3-story Edgren hall by a common student lounge in the middle of the complex. While the dorm rooms in the 52,720 sq. ft. complex are served by existing McQuay (now Daikin Applied) fan coils (many of which were replaced in the late ’90s), student life, showers, and the variable Minnesota climate meant the existing rooftop units that supply dedicated outside air had to work extra hard to keep pace. Selecting the highly efficient Rebel rooftops as specified by Tim Harris, sales engineer and Daikin Applied representative with Schwab Vollhaver Lubratt Inc. (SVL) in St. Paul, has allowed the university to bypass using large amounts of chilled water from its central chiller plants in a two-pipe system to take advantage of the direct expansion (DX) technology in the new Rebel rooftop units. The 7-ton Rebel units deliver 20.6 IEER and use direct expansion and ERW technologies to maintain humidity comfort levels below 55%. The 7-ton Rebel rooftop units provide high part-load efficiencies at 20.6 IEER (Integrated Energy Efficiency Ratio) which surpasses ASHRAE’s 90.1 standard by 84%. “Rebel has some of the highest IEER ratings in the rooftop market because of the inverter compressors. In combination with the energy recovery wheels (ERW), these units are 60% more effective at removing moisture from the air,” said Matt Dodds, applications engineer at Daikin Applied. Installation of the units was phased to meet the university’s budget and tight timelines when dorms weren’t occupied. The units were installed in August 2013, August 2014, and March 2015. “Both time constraints and special contracting required the provision of adapting curbs on the roof so that existing openings could be used. Those were key challenges to the project,” SVL’s Harris said. Broz credits the mechanical installation services by Egan Company along with the Daikin Service Group as critical to the success of the project. “Everyone’s level of effort including installing new curbs, to pulling the old equipment off and installation of the electrical and hot water lines, made this a very efficient and well-done installation job,” Broz said. 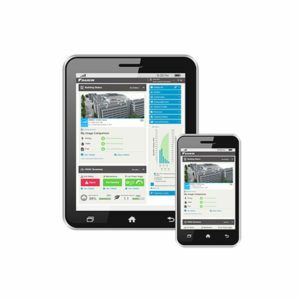 In addition, two of the Rebels—one on each of the buildings—feature Daikin’s Intelligent Equipment® (IE) control solution for real-time data that benchmarks performance and monitors system operation. “Our energy managers use Intelligent Equipment to gather data and we use it to see the detail of operational data and monitor the units. We also appreciate that we can connect remotely to the units on laptop or smartphone,” Broz said. Rebel’s energy recovery wheel draws 60% more humidity from the air stream for substantial energy savings and improved student comfort. Quiet, unimpeded operation adds additional quality to the student’s studying and living conditions. Broz notes that the extremely low-audible output of the Rebel units goes unnoticed by students. “The Rebel units are very quiet due to the inverter compressor technology,” he says. Intelligent Equipment® remotely benchmarks performance and operation for 24/7 control. Energy savings are significant given reduced natural gas consumption with less reliance on the chiller plants that serve the complex, as well as the reduced electrical consumption of the Rebels versus existing rooftops. Notably, the ERW technology on the Rebels (which heats up outside air) provides significant energy savings especially during Minnesota’s cold winter months. “In the winter, we’ll use Intelligent Equipment to look at the energy side to optimize use of the energy wheels, instead of using building heat, especially as it relates to the restrooms and showers. In the summer, we use Intelligent Equipment to see if we’re doing an effective job of keeping the dewpoint and humidity at low levels,” Broz said. In addition to the existing three Rebel units, Bethel University recently received delivery of a 4-ton Rebel rooftop unit to serve its new, state-of-the-art Wellness Center that houses its fitness center and exercise science program, opening fall 2015.